I got my shoes yesterday. They arrived so soon. I tried them. It's comfortable and the height of the heel is OK for me . 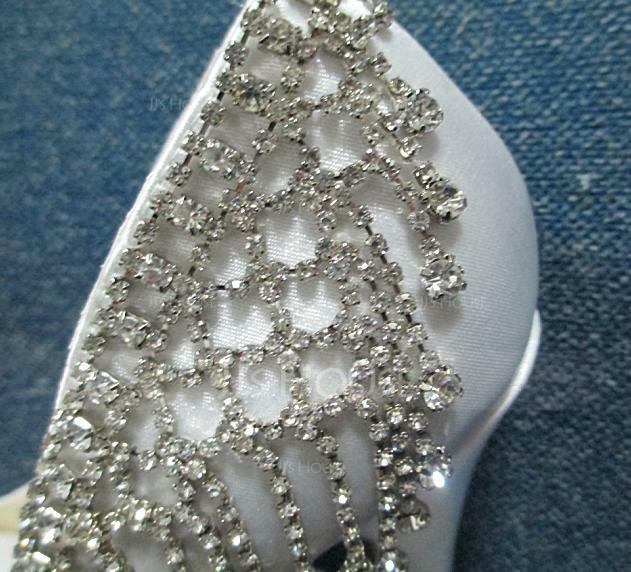 And the rhinestone are beautiful. I'm so happy to own this pair of shoes with such a cheap price. I send you some photos. This pair of shoes are very nice. And I get one pair of shoes one size larger than I normally get because I have a wide girth. And it turns out very fit. 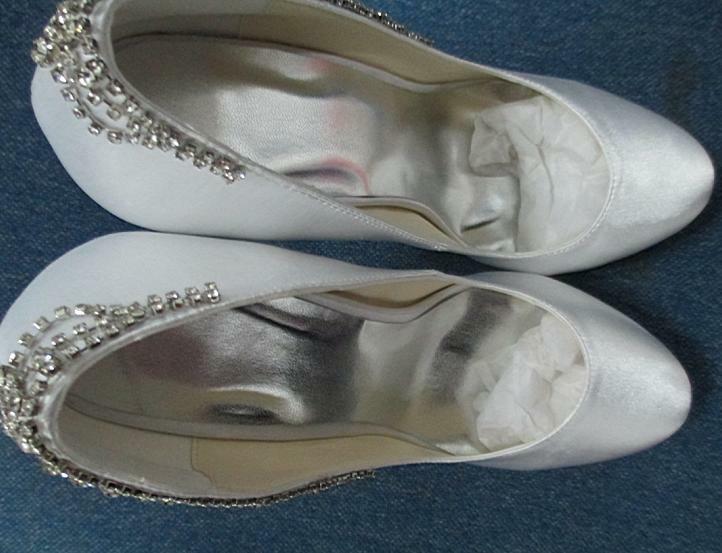 I am very pleased with all parts of the shoes and definitely will wear on my upcoming wedding!